UVO Wallmount – Ozone for Hotels and Restaurants – deodorise and disinfect. The use of ozone as a highly efficient air deodoriser and disinfectant is widespread in the hotel and restaurant industry. Our compact ultraviolet ozone generators are ideally suited to treating hotel or guesthouse rooms after cleaning. Just half an hour of ozone is enough to deal with all indoor odours, leaving the rooms smelling fresh and clean. 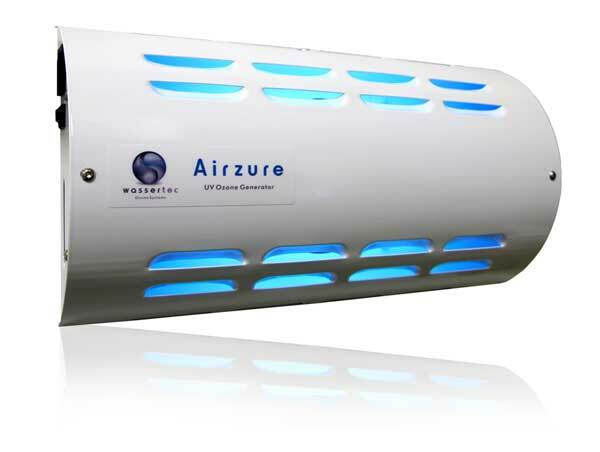 Airzure is ideal for freshening hotel and guesthouse rooms, smoking areas, cold storage areas and particularly odourous retail outlets like butcheries, fast food outlets and fishmongers. It is also effective in cancelling out mildew smells and that strong smell left behind in a freshly painted area. Wassertec – Engineered Ozone Solutions for water and air treatment. If you are looking for high quality Ozone Generators, with backup and service to match, you’re in the right place.